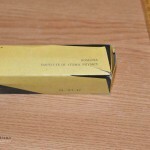 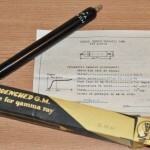 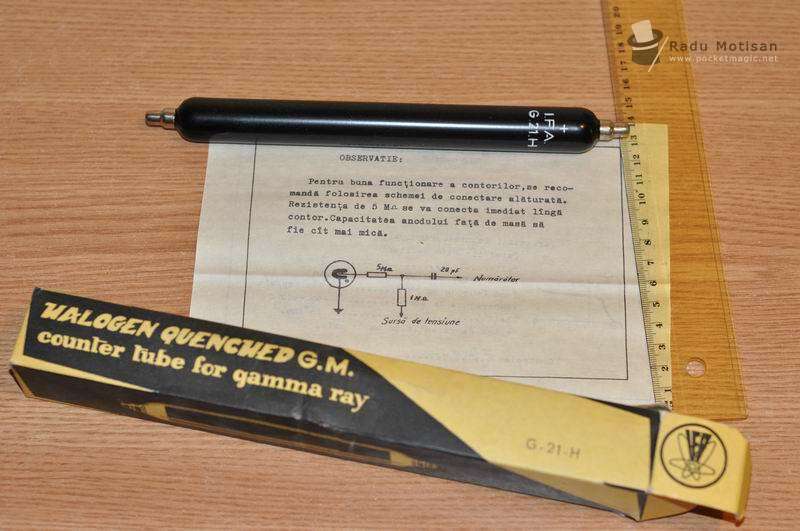 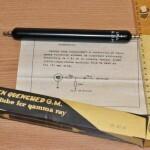 Halogen quenched Geiger Muller Tube, for gamma ray counters, manufactured around 1968 at I.F.A. 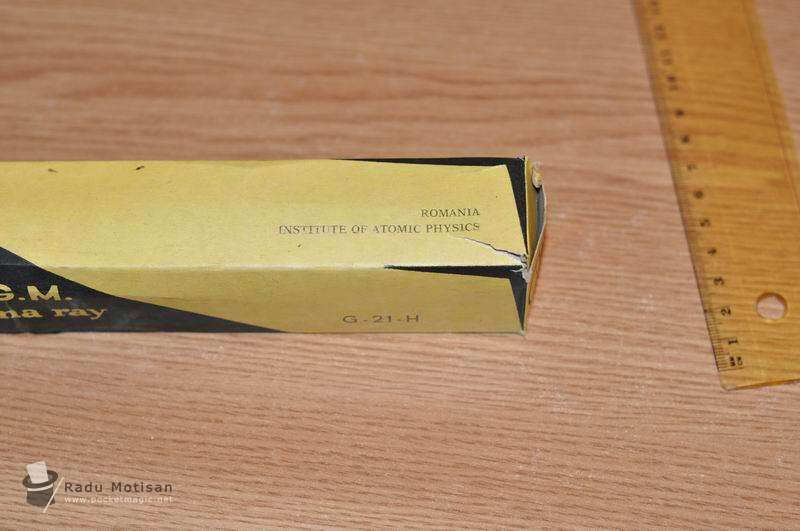 Romania (Institute of Atomic Physics, Bucuresti, Romania). 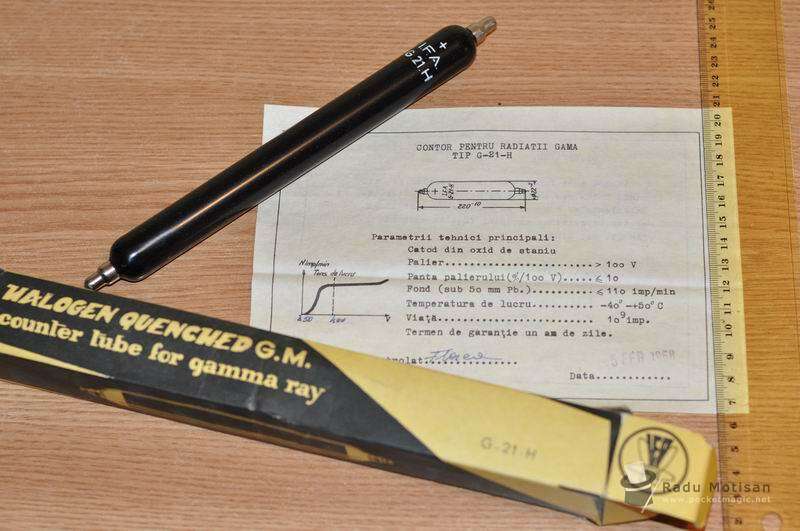 It uses 400V, background radiation 110impulses/minute, at the life is guaranteed for 10^9 impulses.